We had our Coffee and Cake session on 29 March 2019. This was the second session held this year and it was well attended by the postgraduates. Take a break, have some coffee and cake! When the busy workdays get to be too much, it’s always a good idea to step out of the lab or workroom and take a much-needed breather. Something about taking a break outside of our work space refreshes us. 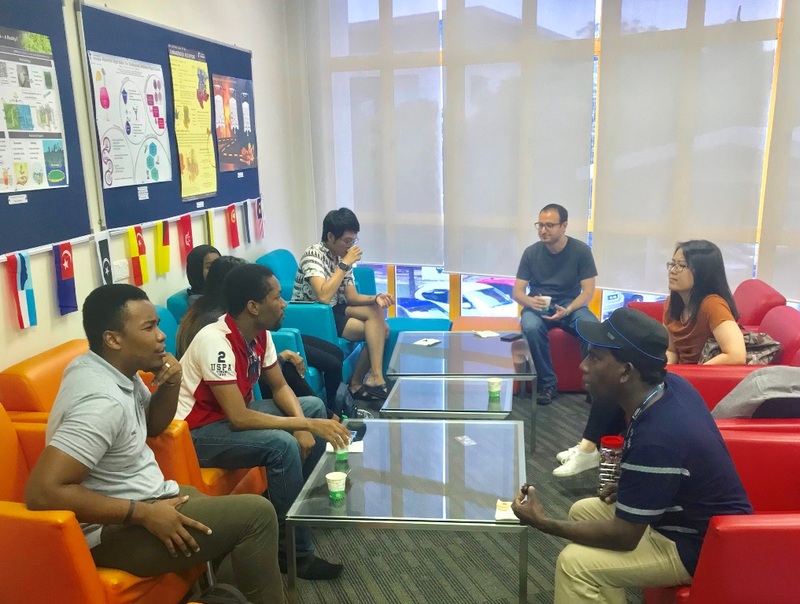 This Coffee and Cake session was a great opportunity for postgraduates to step out of their work and catch-up with fellow postgraduates. It provided the postgraduates with a short break when the busy workweek got hectic and they felt frantic. This time around we prepared some chocolate brownie cake and blueberry cheese tarts for the postgraduates. We try to provide different types of refreshment for each session so there will be something new that the postgraduates can look forward to. The Coffee and Cake sessions are open to all our postgraduate students including postgraduate research students (PGRs) and postgraduate taught students (PGTs). We would like to take this opportunity to encourage all PGTs to come and join the rest of the postgraduate community on campus in these social gathering sessions and enjoy the free refreshments. We look forward to seeing more PGTs in the future sessions. Please email us at graduateschool@nottingham.edu.my if you have any queries.